Looks pretty light and fluffy. It feels weird to crack open a pint of Ben & Jerry's "late" at night (It's 9:30pm). I've gotten in the habit of only having heavy things like regular B&J's during the day so this is strange. I take a few bites and it tastes like skim milk more than anything. Let's try some cookies and then some swirl.... and now some of both... I can't say I like the shortbread at all... or the swirl. It might just be too late for a salty swirl. Ok, I'm putting this away for now. I'm getting older and set in my ways and this is meh at best at the moment. All I can think of is skim milk and dog biscuits. Man I can be mean some times. On Second Scoop: Ok, I already had a small sampling the morning after I wrote this but it's been a few days and it's time for a full test....yeah, that skim milk taste is killing me. Granted, something like the new light ice cream from Arctic Zero had it to, but that's AZ, this is supposed to be Ben & Jerry's. They should know better. I don't like when an ice cream tastes like you are licking the inside of the container it came in. I wish I had tried chocolate milk & cookies next because now I don't want to waste anymore money on Moo-phoria. Oh well. Maybe they come out with another flavor or two next year, but sooner rather than later, this stuff is going away. It's just all wrong and there are better (and cheaper) options out there. --- Yes I am frustrated. Why not give this a cinnamon base to cover up the skim milk taste but leave the shortbread cookies and call this one snickerdoodle. BOOM. failure becomes something decent..
Do not bother with Chocolate Milk & Cookies, it's hot garbage as is this entire line. 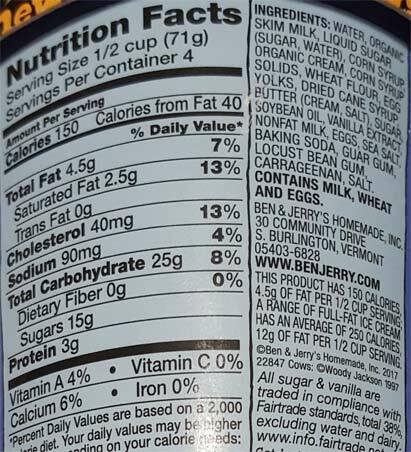 I feel like its a waste to buy B&J light ice cream when its basically the same calories per 1/2 cup as say, Turkey Hill, which is the same price and comes in a half gallon(ish). Double Dunker is awesome. Your description of it tasting like "licking the inside of the container it came in" was savage and hilarious. The most frustrating part to me is thinking that they discontinued their cookie core lineup to make room for these sad pints. O Peanut Buttah, where art thou? The "skim milk and dog biscuits" is what had me deceased. I'm SO glad I took a sip from my Coca Cola can and put it down before I got to that line, or else it would've been sprayed all over my phone via nose. Also Mike, the "Boom Chocolatta" Cookie Core flavor is still in stores everywhere where I reside. I don't know if you had that one, but trust me if you love TH's Double Dunker (I certainly do) then you'll love that one. 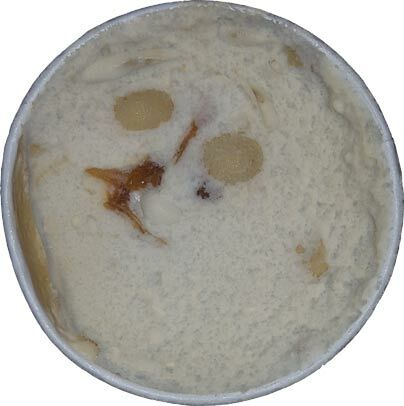 And I did see the "Peanut Buttah" flavor in my local Scoop Shop, which also might be in some stores here too. I don't notice it much because I don't do Peanut Butter. So they definitely didn't discontinue the entire Cookie Core line thankfully. They may have retired "Speculoos" though because I haven't seen that one anywhere in almost 2 years. I was eating 3 pints a week of Speculoos so in my case, that's a good thing. I mean, the first one had everything you love in ice cream (chocolate base, cookie dough and peanut butter) and you *still* found it irredeemable, so I don't think anyone will begrudge you not reviewing the third pint. Though I am tempted to send you 6 or 7 bucks just so you can try it and rip it to shreds. My sides are still recovering from "skim milk and dog biscuits" and the dude who threw in "hot garbage" isn't helping. Anyhoo, don't feel guilty about being "mean" you're doing the ice cream-loving public a service. Had it not been for this review and Chris's comment I may have bought this today. The plan was to buy 3 pints of "Gimme S'more" but only 2 were left and this flavor was the same price so it would've fit into the budget. I was especially curious about it earlier because I missed out on "Keep Caramel and Cookie On" (which also involved shortbread cookies) but thanks to you, I know not to bother. Aside from getting Halo Top or So Delicious to mix it or lighten it up, I've been an exclusive Ben & Jerry's fan for years. But I think sometimes BJ gets a little too hung up on their dense texture, or advertising it and forgets that flavor trumps everything. I'm saying that because they proudly declare that they have no artificial sugar in this line, and they're obviously going after Halo Top. Yet the inclusion of EGG YOLKS (for dense texture) combined with such low sugar and nothing to compensate for that not only makes the ice cream taste nasty, but it has MORE THAN DOUBLE the calories of Halo Top. So that's not just a fail, that is an EPIC FAIL. This is why I hate their dairy-free line too. It contains pea protein which gives it a gross chalky finish and adds totally unnecessary calories. All because they wanted it to be dense and couldn't do it with egg yolks because it's vegan. Meanwhile, I still buy So Delicious when I want something without dairy. 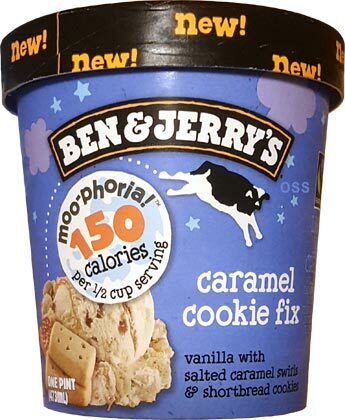 I think this Moophoria line would've been alright (and closer to Halo Top in macros) if they just left out the egg yolks and kept the sugar levels of the same. What do you really expect from Light Ice Cream!? Its overpriced and underwhelming. Bummer I couldn't disagree more! I think this is one of the best light ice cream's I've ever had and recently bought another pint to confirm this. 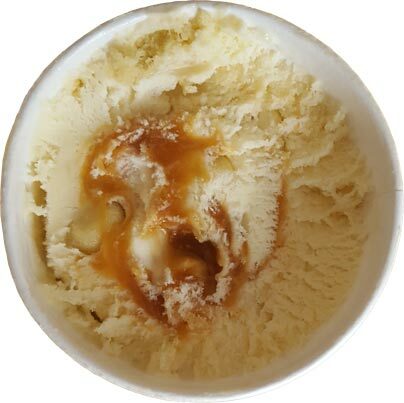 I loved salted caramel and felt that it and the shortbread cookies were really well executed. 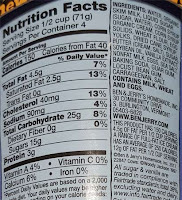 I wasn't expecting true B&J's density but found it much more true to form than the usual fluffy stuff. FWIW the chocolate milk and cookies has a different vanilla base that utilizes vanilla bean over extract and for me the cookie chunks are really great! @Sean: did you get a skim milk vibe? or how do you feel about skim milk in general. I kind of hate it so that puts me at a disadvantage with a product like this. My other thought that I didn't write down is that it reminds me of their regular froyo (which reminds me nothing of froyo) but with a bunch more air. Thoughts?